CompanyCyber Infrastructure (P) Limited is A One-Stop Outsourcing services provider, Since 8+ years with 650+ IT professionals team at USA, UK, Singapore and India. Online Marketing ServicesOur online marketing campaigns bring you traffic, customers, and strong return on investment. The ushering of iPad has completely redefined the mobile industry. This first of its kind tablet people has not only fascinated users with its amazing functionality and looks but has also brought in a great demand for Apple iPad app development for commercial and entertaining purposes both. At TalentsFromIndia we have been offering iPad app development services right from the time this magnificent device made a breakthrough. Our over the years experience in iPad application development and iPad game development makes us a renowned iPad app development company serving hundreds of clients with our talent. We are driven by a team of skilled iPad application developers that have tried their hands on every latest technology hence making them experts in offering captivation iPad apps that helps our patrons in reaching their purposes and enabling their market presence. 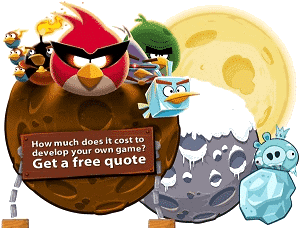 We have not only pioneered the application development arena but we are also experts in serving you with iPad game development that magnetize you each time you experience it. Our iPad application developers are pushing every possible boundary in coming up with interactive iPad games that are simply astounding. 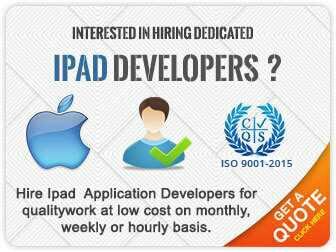 TalentsFromIndia has become a one stop solution for everything that relates to iPad. As an iPad app development company we have served to hundreds of our clients with our iPad app development services giving an extra edge over the rest. App development for iPad has now become forte and we customize each solution at its best to meet your requirements flawlessly.